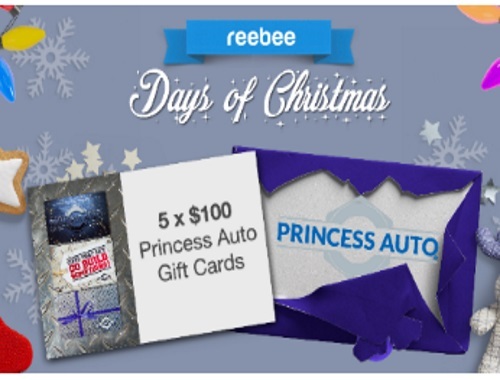 Reebee's Days of Christmas Giveaway today is on Princess Auto gift cards! Enter for a chance to win 1 of 5 Princess Auto $100 gift cards! Contest begins 9:00am EST Monday November 28 2016 and ends 11:59pm EST Friday December 23 2016. The contest is divided into individual draw dates, weekends are treated as a single contest day.